Formulated with a tropical cocktail of organic oils, triglycerides and fruit extracts. 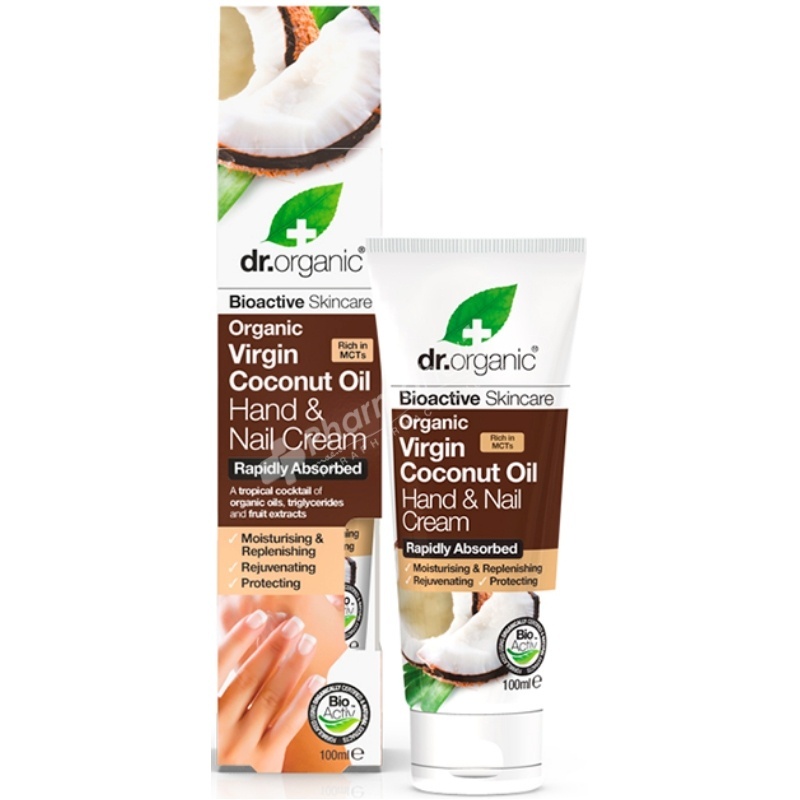 Combining our award winning blend of bioactive, natural and organic ingredients with Organic Virgin Coconut Oil has produced a fast absorbing, deeply hydrating and nutritious hand and nail cream. Packed with medium chain triglycerides, organic oils and fruit extracts, this tropical bioactive formulation is a powerhouse of natural moisturising protection. Natural and Organic Ingredients: Coconut Oil, Coconut Extract, Aloe Vera Leaf Juice, Cocoa Butter, Papaya Fruit Extract, Mango Fruit Extract, Cocoa Seed Extract, Mangosteen Fruit Extract, Fig Fruit Extract, Orange Fruit Extract, Lemon Peel Oil, Lime Oil, Vanilla Extract,Vitamin C,Vitamin E.
Ingredients: Aloe barbadensis leaf juice, Aqua, Cocos nucifera (Coconut) oil, Coco-caprylate, Glycerin, Glyceryl stearate, Cetearyl alcohol, Theobroma cacao (Cocoa) butter, Cetearyl glucoside, Sodium magnesium silicate, Tocopheryl acetate, Cocos nucifera fruit extract, Carica papaya (Papaya) fruit extract, Mangifera indica (Mango) fruit extract, Theobroma cacao (Cocoa) seed extract, Garcinia mangosteena (Mangosteen) fruit extract, Ficus carica (Fig) fruit extract, Citrus aurantium dulcis, Citrus limon peel oil, Citrus aurantifolia (Lime) oil, Vanilla planifolia, Gamma octalactone, Diacetyl natural, Sodium stearoyl glutamate, Xanthan gum, Phenoxyethanol, Sodium phytate, Dehydroacetic acid, Potassium sorbate, Ascorbic acid, Citric acid, Limonene.